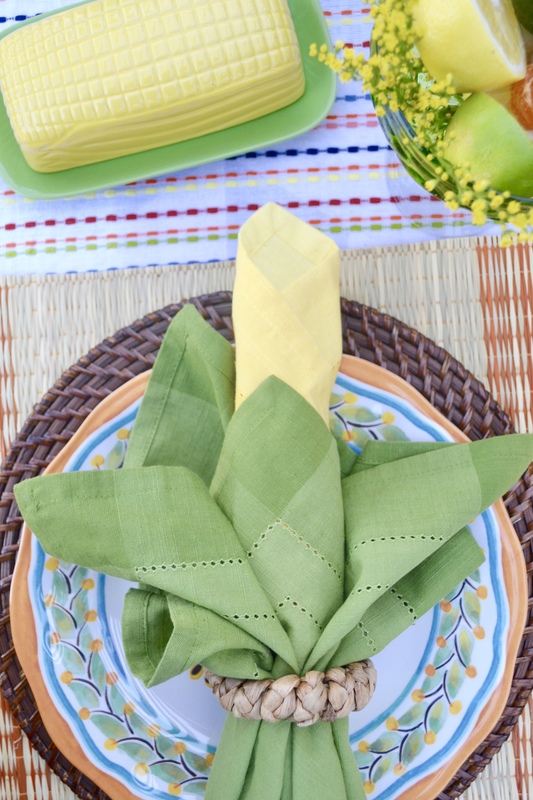 First off, if you missed this adorbs corn napkin in context, check out my Cinco de Mayo Tablescape post and then come right back! 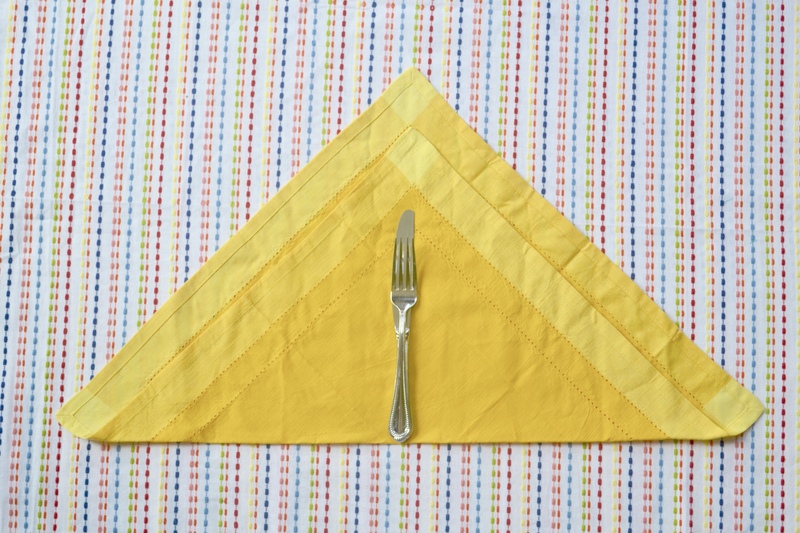 Now, first things first, lay out your napkin and fold on the diagonal. You can do it so the sides match up or, if you’re needing the corn to be a bit larger to fill your plate, inch the napkin down just a big like you see in my picture above. Stack your silverware, knife then fork (if you have a spoon too just stack on top of fork) and place at the base of the fold. 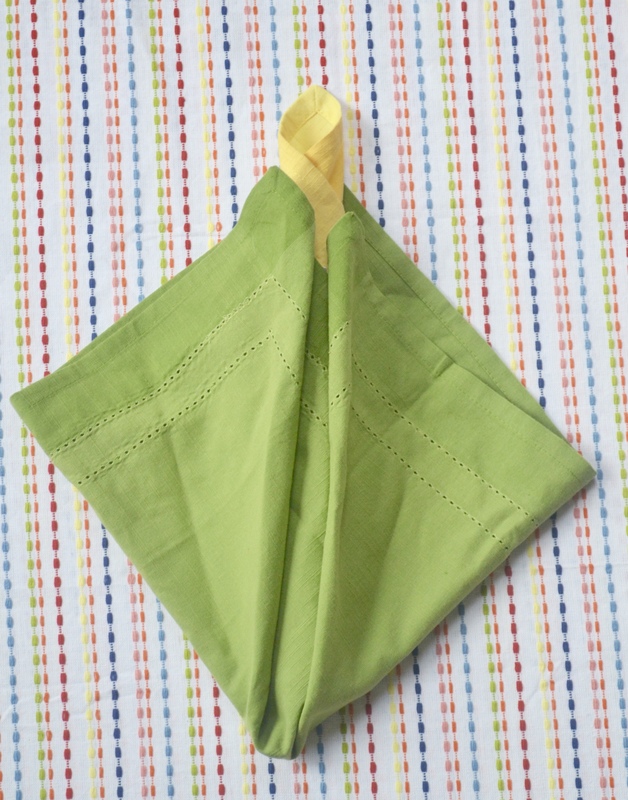 Take one edge over to meet the other edge of your napkin over and hold the silverware tight against the fold. 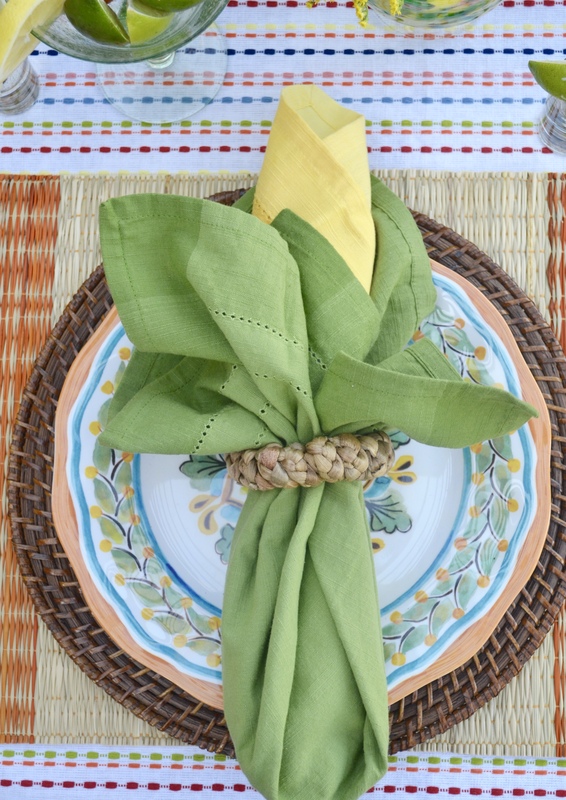 Curl the folded end over itself, rolling the silverware and napkin until you have the yellow corn-stalk seen below. 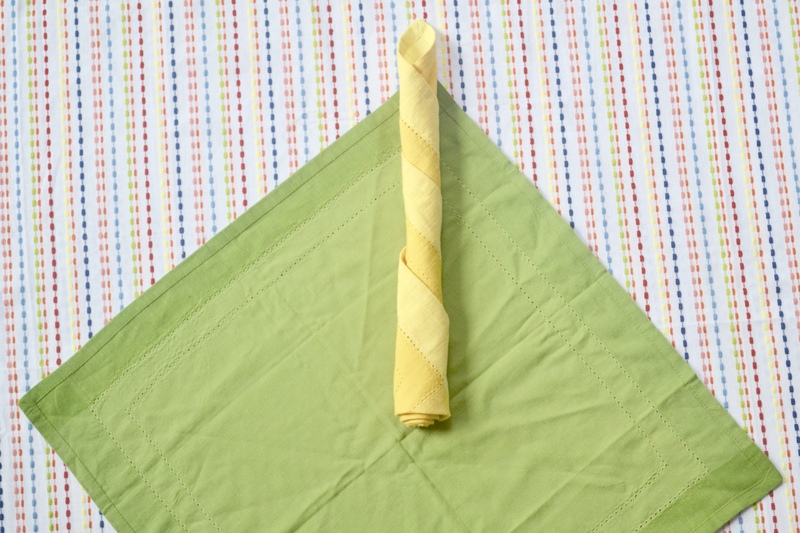 Lay the yellow napkin on the green as seen here with just a bit of it reaching above the corner. 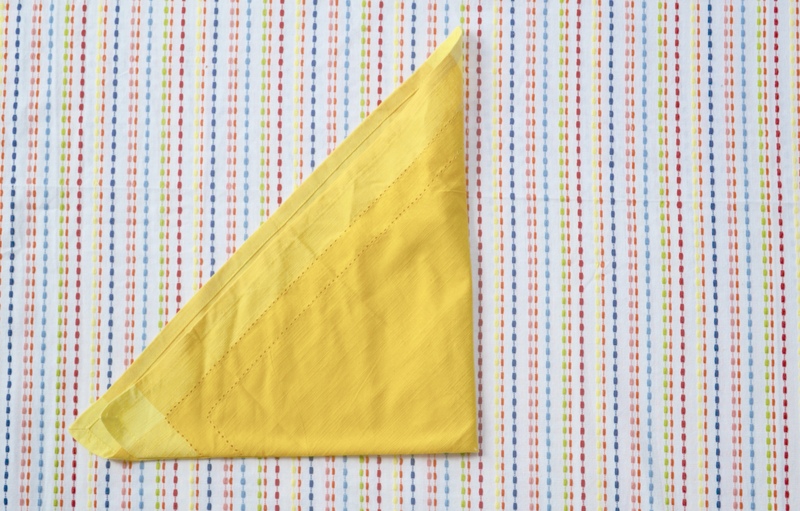 Most napkins are actually rectangles, not squares, so don’t worry yourself too much with trying to make this even – promise it won’t matter! You’re now going to take the bottom most point and bring it up towards the point of the corn. Don’t overlap the corn all the way at the top, leave a bit sticking out. Once this done, you’ll have a large green triangle enveloping your corn. You’re getting there! Now, take the right most point and bring it towards the same place you did with the last green point. You should have a nice crisp corner at the bottom (see below). And repeat the same steps again with the new points you’ve created. You’ll now have almost a cone around your corn. 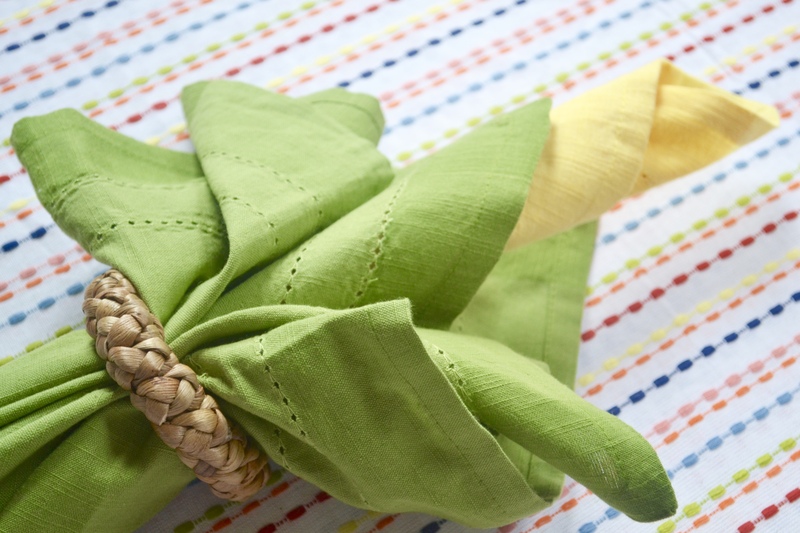 Slide the napkin ring up from the base and fold back the green pieces at the top. That is the cutest thing! 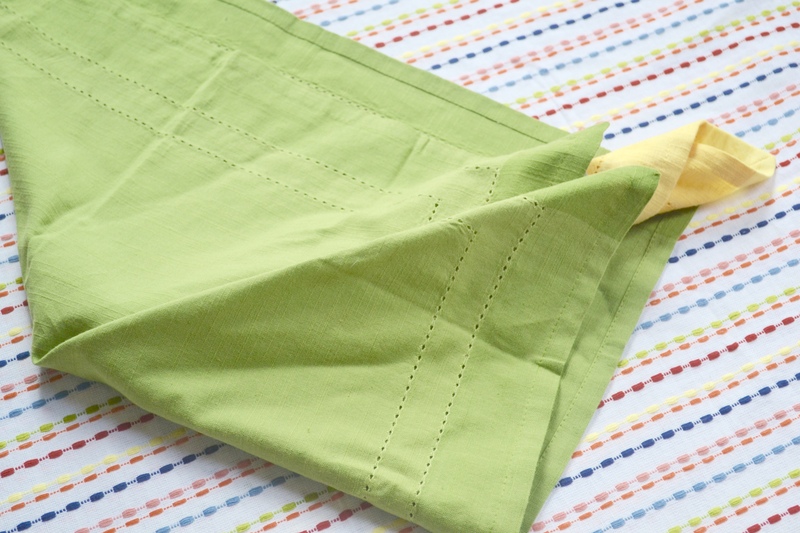 I’m so glad that you mentioned that we can substitute for paper and twine because I don’t have nice linen. 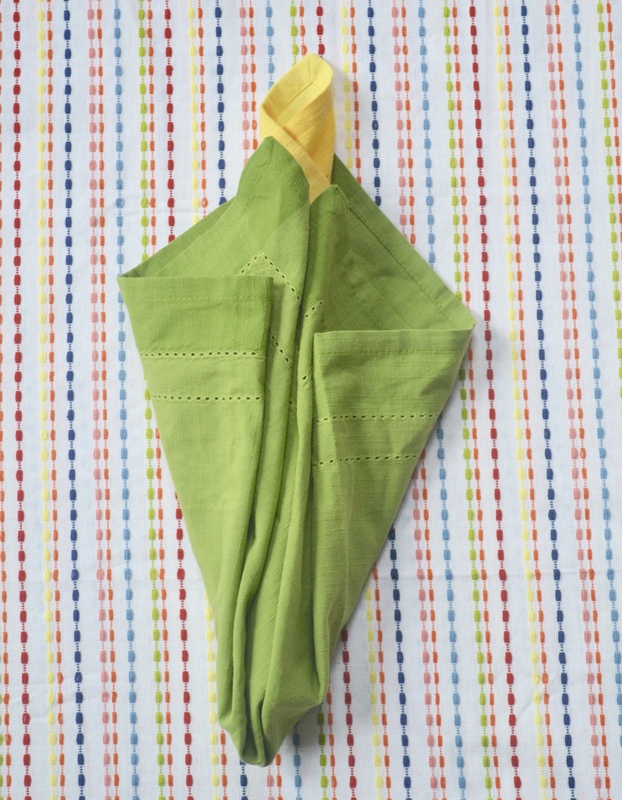 But I think paper and twine would look just as sweet…sweet corn! Thank you for such I unique and easy idea. Oh I’m so glad you enjoy this idea Karen! 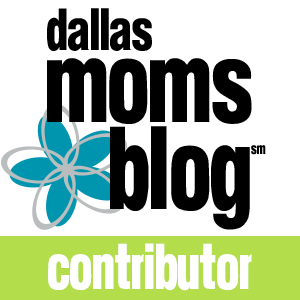 And yes, the plastic/paper option will be just as cute!